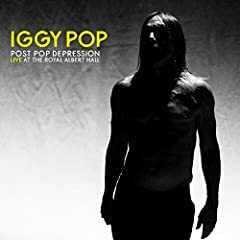 Iggy Pop is the stage name of performer James Newell Osterberg Jr., born on April 21, 1947 in Muskegon, Michigan. As the vocalist for the punk band The Stooges, Pop became known for his outrageous stage stunts. After performing with bands in Ann Arbor, Michigan, Pop moved to Chicago to expand his music connections. By 1970, The Stooges released two albums with lackluster sales. But 1970s Fun House would later make its way onto Rolling Stone's 500 Greatest Albums of All Time. The Stooges eventually disbanded as Pop's drug addiction became worse. The group reunited in 2003. Uhm. he's smuggling into the cemetary where he can take a good view of the surroundings. he got his base just behind Rudy Valentino's tomb. When police cars run downtown, he prefers not to see, and they always pass there for someone else. he's not ashamed for doing this. the importsnt thing is to continue careless of police pursuing drug dealers. There are times, when a mighty call to arms arrives, and you ought to give all your might for sake of love. Overcome fear of loss or disappointment, standing your ground when emotional storms capture you, even if you have to cry for love time and time again, in the end is going to be worth it. Trainspotting's soundtrack... The first notes kicking in while you can here Mark Renton on the movie's trailer preaching the infamous words "choose life, choose a job...." the perfect musician to do the soundtrack for that movie, in the book can be found also many references to him.